According to an article in the Guardian, Victorian novels helped us evolve into better people. Classic novels like Dracula and Middlemarch ‘instilled the values of cooperation and the suppression of hunger for power’. 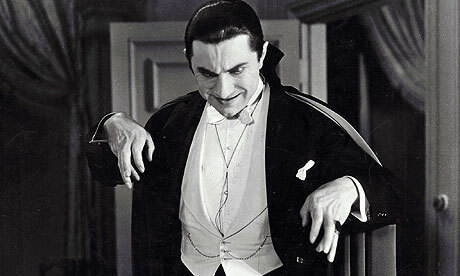 The despicable acts of Count Dracula, the unending selflessness of Dorothea in Middlemarch and Mr Darcy’s personal transformation in Pride and Prejudice helped to uphold social order and encouraged altruistic genes to spread through Victorian society, according to an analysis by evolutionary psychologists. Their research suggests that classic British novels from the 19th century not only reflect the values of Victorian society, they also shaped them. Archetypal novels from the period extolled the virtues of an egalitarian society and pitted cooperation and affability against individuals’ hunger for power and dominance. For example in George Eliot’s Middlemarch, Dorothea Brooke turns her back on wealth to help the poor, while Bram Stoker’s nocturnal menace, Count Dracula, comes to represent the worst excesses of aristocratic dominance. The team of evolutionary psychologists, led by Joseph Carroll at the University of Missouri in St Louis, applied Darwin’s theory of evolution to literature by asking 500 academics to fill in questionnaires on characters from 201 classic Victorian novels. The respondents were asked to define characters as protagonists or antagonists, rate their personality traits, and comment on their emotional response to the characters. This, of course, is old news to anyone who reads this blog. I’ve said over and over again: story teaches us who we are, both severally and collectively. Novels are stories. Story helps us figure out who we are as individuals. Story helps us understand our culture, how it works, and how we fit in it. Novels are a reflection of our best selves, and a guide. Really good novels do this really well, by taking us there, helping us live a life we’ve never actually experienced. We should all read more of them. I’m all for it. Oppressive governments censor or ban literature because it can change us. What I read and whom I choose to love have been the most powerful influences in my life. In a very basic way, books have kept me alive. Books are as necessary as beer to me.<>pepito<>, make sure you pick a good story. The story is more important than the ‘beautiful prose’. Though if you get both at once, it’s gold. I can’t remember who it was, but I read somewhere that novels were opportunities to try on different ways of being. They allow a reader to slip into the skin of another person and experience the world through another lens. Ideally, you gain some perspective but also make value judgments about what kind of person you are, or aspire to be, in contrast. Anyway, it poses an interesting challenge to a writer, to create the kind of skin that a reader would want to try on. <>karina, jon<>, I think bad story can be bad, if it encourages cliche and comfort with cliches. But story is relative. What is cliche to me may be a blinding revelation to someone else, and vice versa.<>whiteskye<>, well, I’ve said that fairly often, but also Ann Patchett said something similar recently in the < HREF="http://online.wsj.com/article/SB123214794600191819.html" REL="nofollow">Wall Street Journal<>. It’s the mirror neuron thing. Well, it’s certainly possible this was where I read that. In which case I’ve just quoted you to you ::cringe:: how embarrassing! I’m just glad to know where the idea comes from. It’s stuck with me (obviously) and I preface things waaay too often with “I don’t remember where I read this, but…” One less now. I like it because it’s true, but also evocative and a little confrontational. Worth embarrassing myself for. I’m like that with visuals. I have all kinds of images snatched from the web over the last dozen years that I don’t know who they’re by or where they’re from. I’ve learnt to label them immediately now, but that doesn’t help with the ones from long ago. I’m looking forward to Google making their image search image based, instead of text based. You might like < HREF="http://tineye.com/login" REL="nofollow">this<> Nicola. It’s an image search engine. Wow, thank you! I found that picture of Bamburgh Castle I’ve been looking for for ages. Oh, this has really pleased me. Cool! I’m glad it works. I heard about it recently as a way for photographers to track their work, but I’ve never tried it.